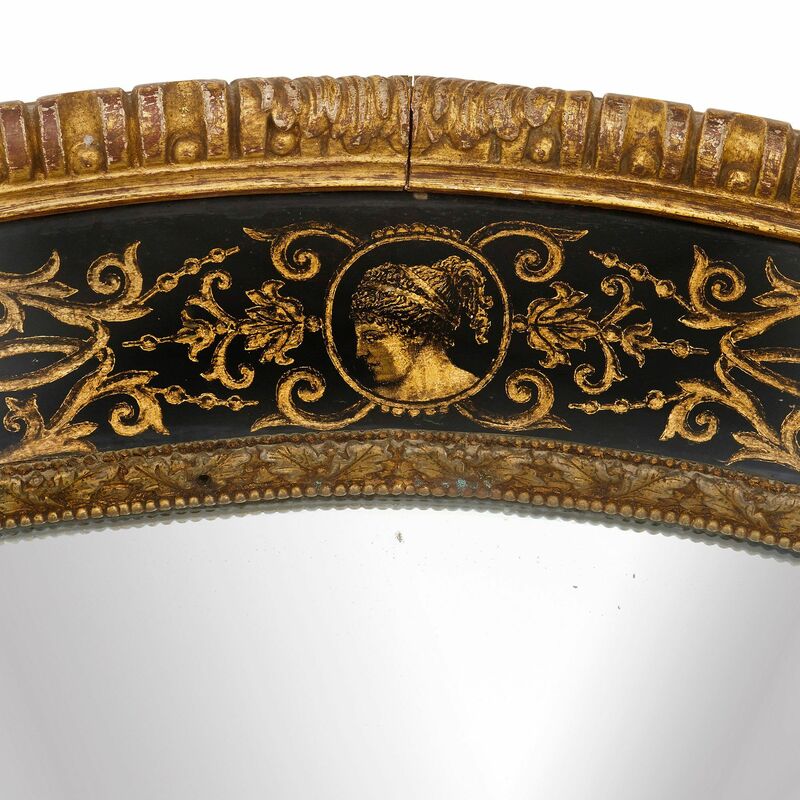 This fine, antique giltwood and gilt egg and dart mirror is richly decorated in the Louis XIV style with classical motifs and scrolling, ornate arabesques. 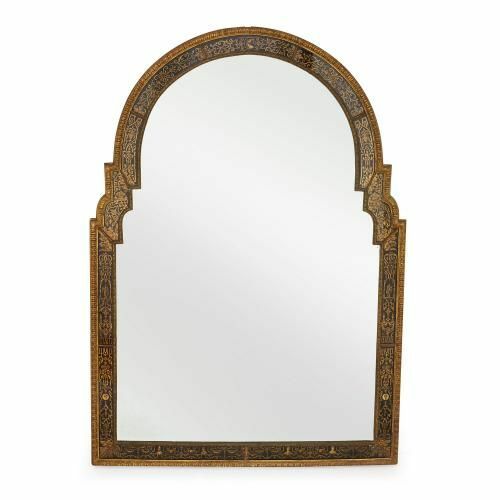 This stately antique mirror features classical profiles and portraits on its intricately detailed gilt-inlaid frame, which is richly ornamented with symmetrical scrolling arabesques. 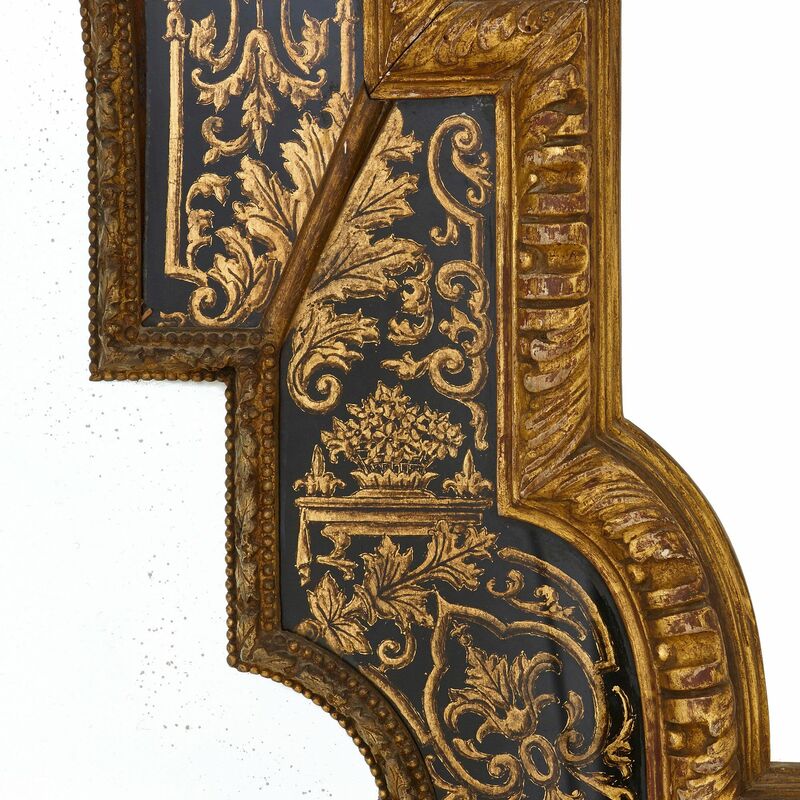 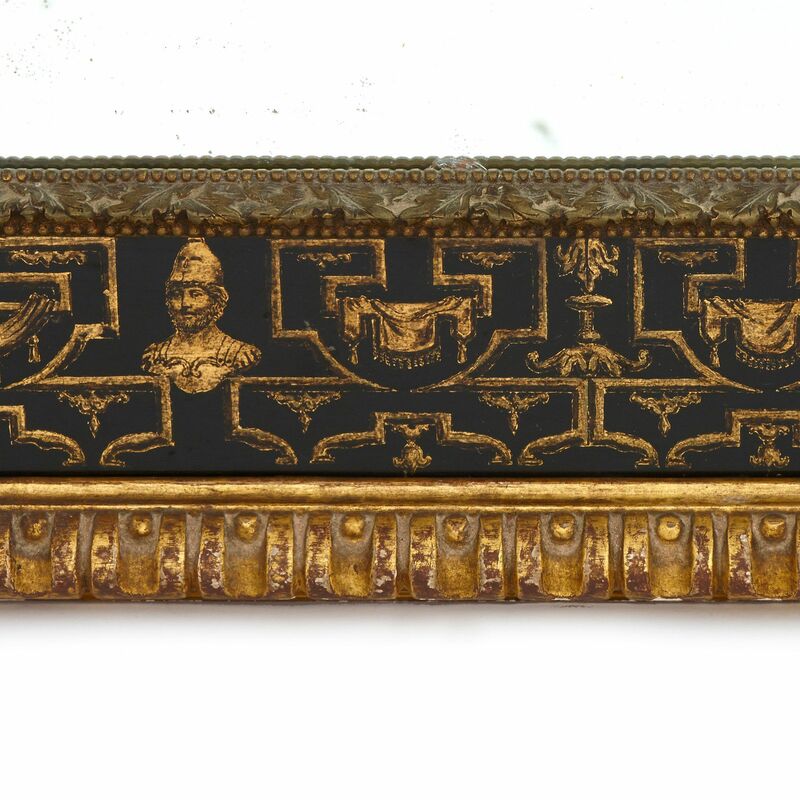 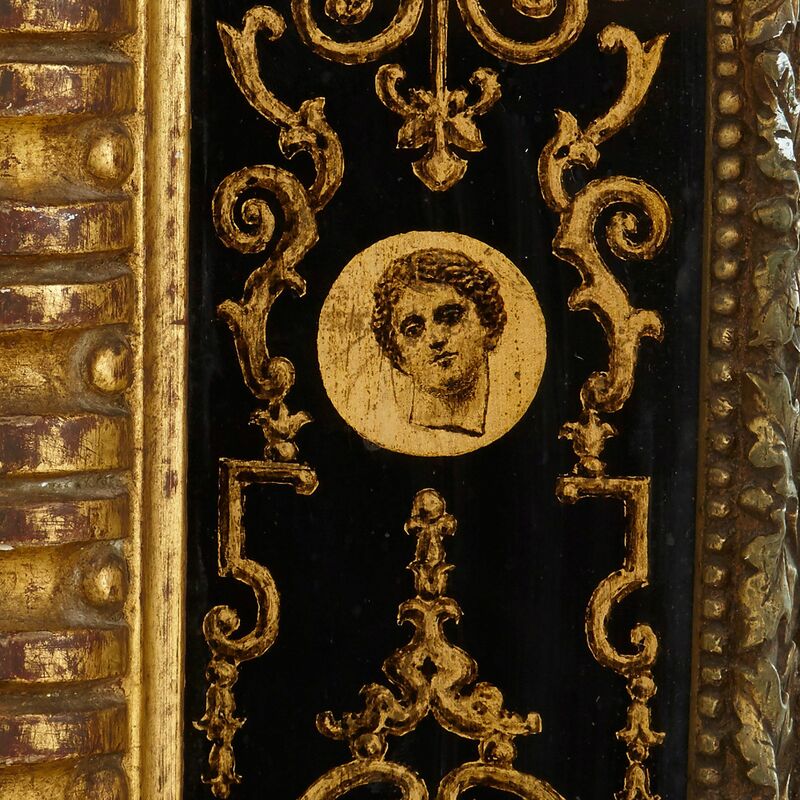 The ornamental details are painted in reverse on glass in gilt, and laid over black, ebonised wood.The frame is bordered in gilt egg and dart. 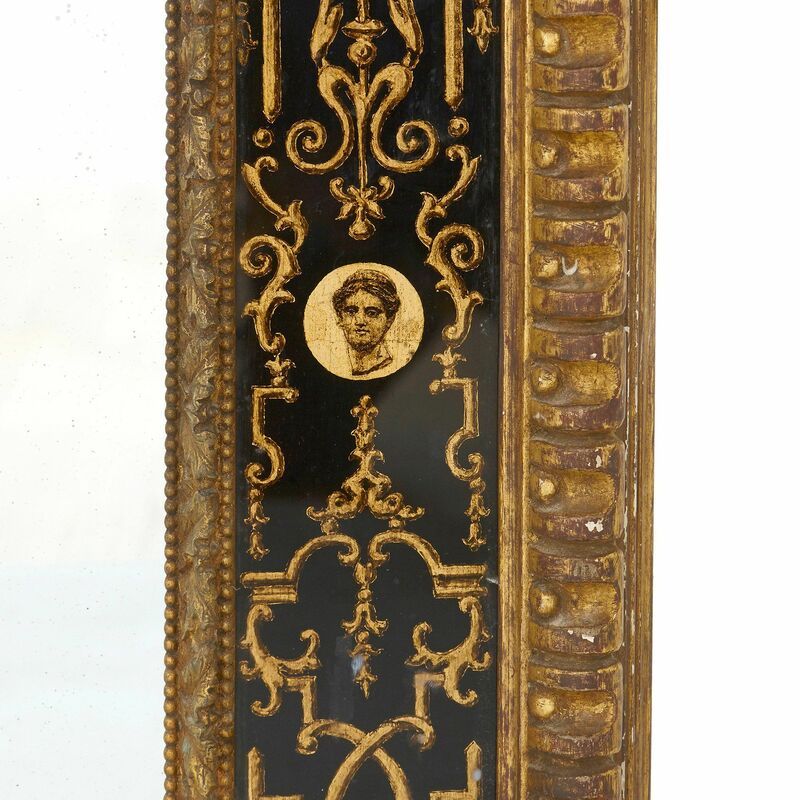 This mirror is a fine 19th Century recreation of the late Louis XIV style of marquetry, which the master marqueteur André-Charles Boulle pioneered, and which the gilt, glass overlay attempts to imitate.